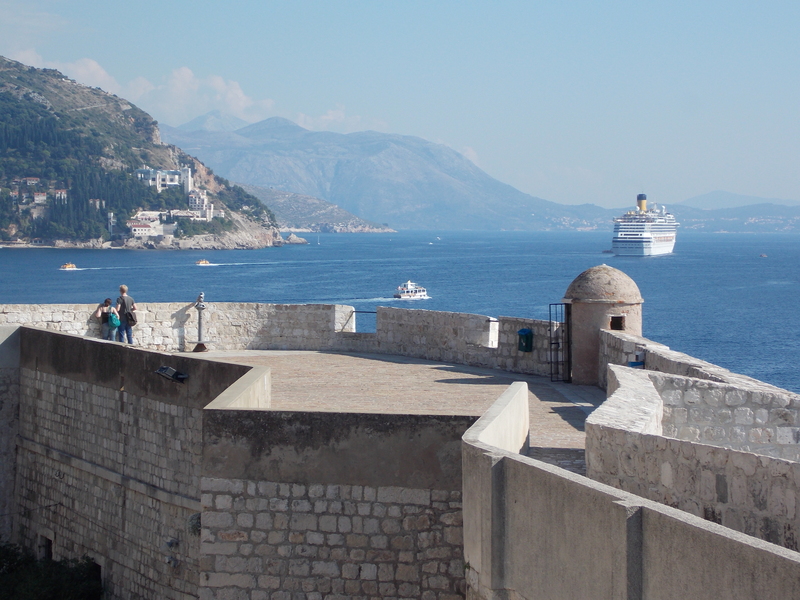 On the final day of our Croatian sailing trip we headed down the coast to the city of Dubrovnik, a place the rest of my mates had visited previously but one that would be totally new to me. 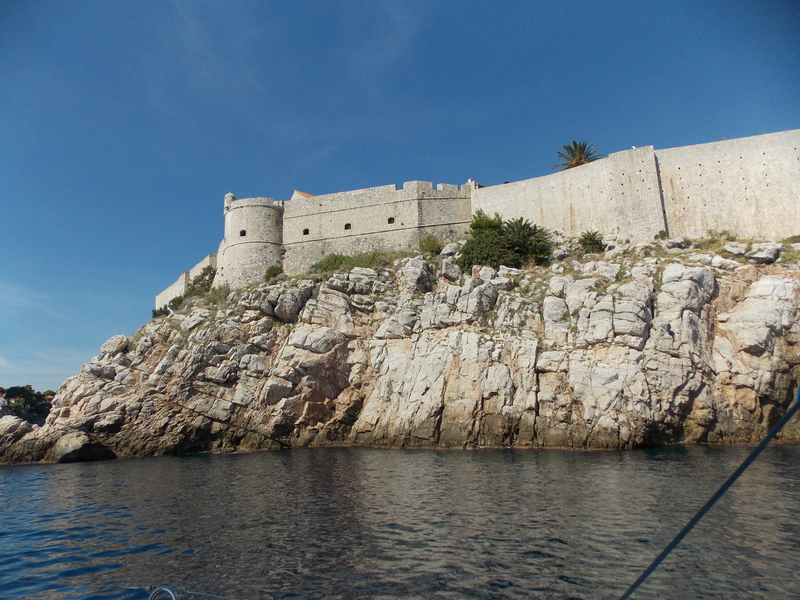 We by-passed the entrance to the river that went inland toward our marina and continued south to check out the great fortress of Old Town from the water, the historical heart of Dubrovnik, one of the great walled Medieval cities in the world. 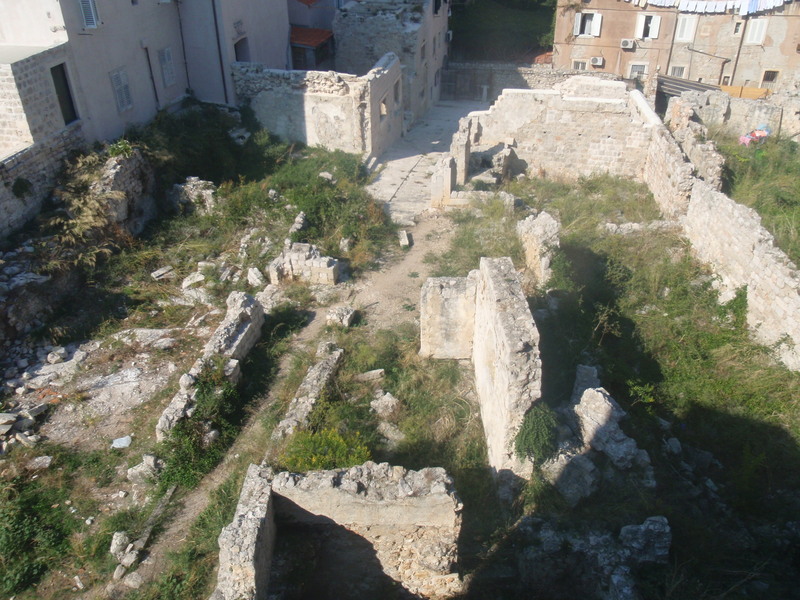 The city was originally thought to have been founded by refugees in the 7th century, but recent research and excavations indicate that the Greeks were there much earlier. It spent a time under the protection of the Byzantine Empire, and after the Crusades was under the sovereignty of Venice. 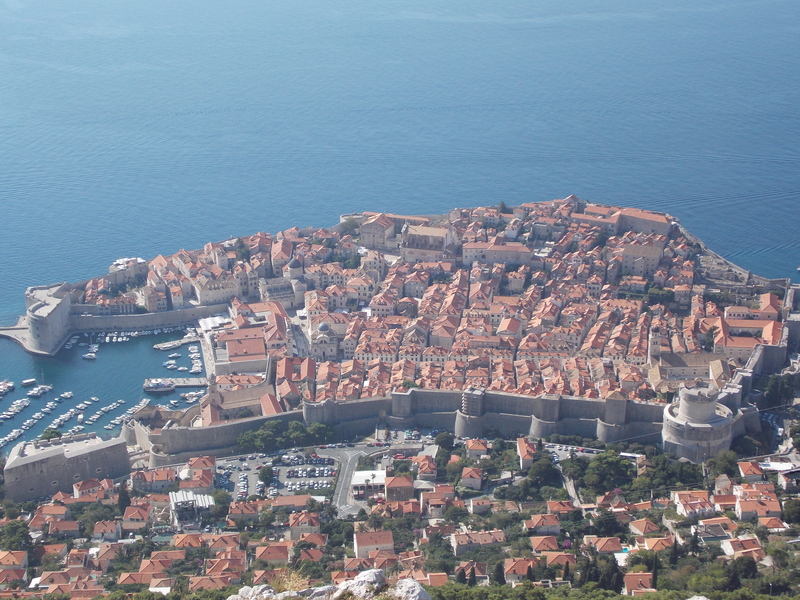 A fire destroyed most of the city in 1296 but a vibrant new urban plan emerged from that, and Dubrovnik was a free state and a thriving leader in maritime trade until decimated by earthquake in 1667. It was rebuilt once again, and quickly regained its economic footing. Following World War I Dubrovnik was incorporated into the Kingdom of Serbs, Croats and Slovenes; during World War II it was part of the Nazi Independent State of Croatia, and was occupied by Italian and German armies. After the war it and the rest of Croatia became part of communist Yugoslavia, along with Serbia, Bosnia-Herzegovina, Slovenia, Kosovo and Montenegro. In 1991, Croatia and Slovenia declared their independence from Yugoslavia, triggering the Homeland War that lasted four years. 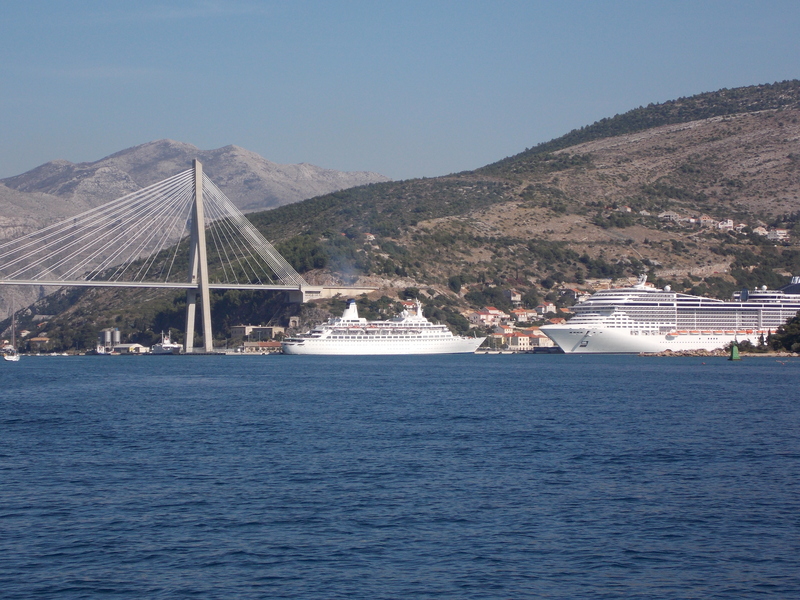 Dubrovnik was first attacked on October 1, 1991 by Serbian and Montenegrin forces led by the Yugoslav National Army. There are multiple theories about the reasons behind the war, one of them – inevitably – being that it was based on religion; Croatia is 98% Catholic, Serbia is predominantly Eastern Orthodox and Bosnia is mostly Muslim. The war in Bosnia might have been based in religious conflict, but in Croatia it really seems to have been about Serbian President Slobodan Milosevic wanting to deliver on his plan for a “Greater Serbia”, a return to an Empire as powerful as it was in the 14th century before the Ottoman invasion. The break-up of Yugoslavia gave him the opportunity to try and capture Dubrovnik, either to hold it for ransom or use it as a stronghold to move north and usurp the strategically and aesthetically valuable Adriatic coastline of Croatia. It was nothing but a land grab. On our free day before leaving Croatia, Tom and Peggy Briggs, Ricky and Nancy Richardson and I took the tram from just outside Old Town Dubrovnik to the top of Mt. Srd to the northeast, where there is a War Museum in the remains of Fort Imperial, which was built in the early 1800s. The view from the top is striking. Down the hill to the southwest is the Old Town and the homes surrounding it, the cruise ships, the luxury hotels on the coast and the impossibly blue Adriatic. Out the back is a barren, grassy plain leading to mountains of rock from where Milosevic’s minions launched their attacks. 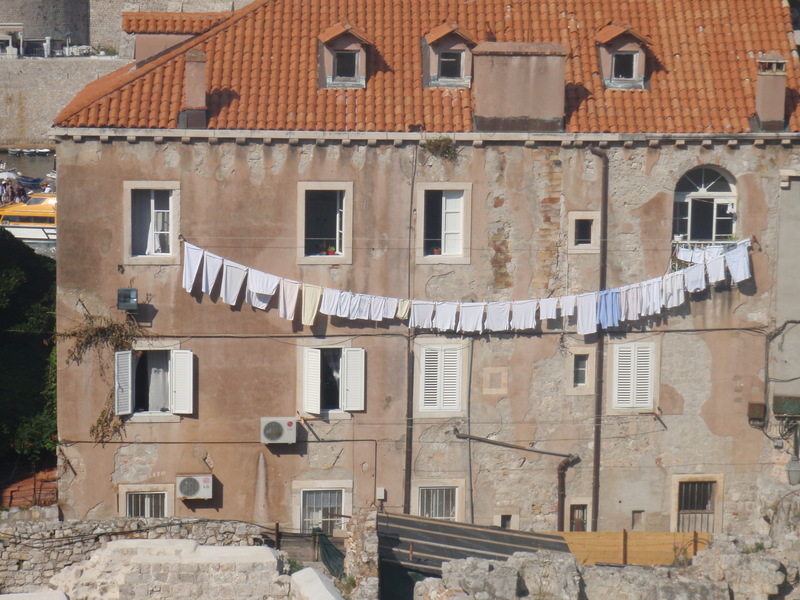 As the war continued there were sporadic attacks on Dubrovnik, and in May and June of 1992 heavy artillery rained down on the 100-foot high walls of Old Town that were built to repel arrows and spears. 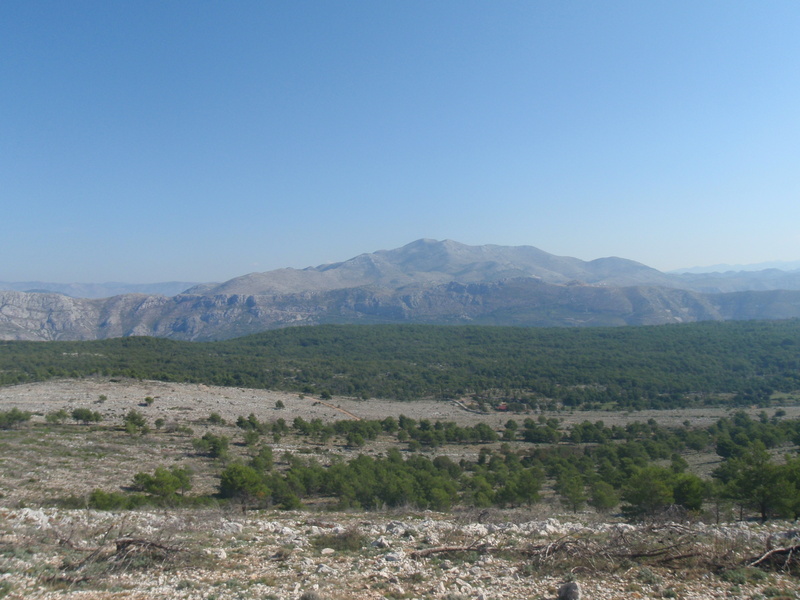 That finally woke up the outside world, and the media attention led to U.N. involvement and sanctions that ultimately helped to end the attacks on Dubrovnik and force the lifting of the blockade. More than 450 cultural monuments were damaged, and restoration that has cost $35 million to date is ongoing; pockets of untouched destruction were clearly visible. But none of that dampens the energy that emanates from Old Town these days. Within those massive walls is a vibrant and somewhat mystifying blend of residential life and relentless tourism. Buses and cruise ships dump tens of thousands of visitors into the main corridors and narrow alleyways of Old Town, and the artisan stands of bygone eras have been replaced by souvenir shops, ice cream vendors and overpriced restaurants and bars. But if you venture out into the side streets it starts to feel more authentic, and as you climb up to the wall and walk the perimeter of the entire enclosed area you see a school and small backyards and laundry hanging out, and you get a glimpse into the life of Old Town’s 2000 permanent residents who have clearly adjusted to the parade of foreigners just meters away from their kitchen windows. On a bright, warm day it is a startlingly beautiful place, a union of Gothic, Renaissance and Baroque architecture; of salt air and simmering garlic; of the native and the naive. I’d have preferred a week there rather than a day and a half. Next time. Great post Ruffin. I knew a lot more about the breakup of the Soviet Union in 1991 than I did about the breakup of Yugoslavia. I knew that it did, and when it did, but that is about all. Thanks to you I now know more. Dubrovnik looks like a wonderful place. Your pictures, in this post and all others, are totally great. ps. We never actually worked at USC… Coach Robinson got fired.